To the extent that she is popularly known, Katherine Parr (1512-48) is the woman who survived King Henry VIII as his sixth and last wife. She merits far greater recognition, however, on several other fronts. Fluent in French, Italian, and Latin, Parr applied her languages in new diplomatic contexts after ascending to the throne in 1543. As Henry's wife and queen of England, she was a noted patron of the arts and music and took a personal interest in the education of her stepchildren, Princesses Mary and Elizabeth and Prince Edward. Above all, Parr commands interest for her literary labors: she was the first woman to publish under her own name in English in England. For this new edition of Parr's writing, Janel Muller has assembled the four publications attributed to her - Psalms or Prayers, Prayers or Meditations, The Lamentation of a Sinner, and a compilation of prayers and Biblical excerpts written in her hand - as well as her extensive correspondence, which is collected here for the first time. Mueller brings to this volume a wealth of knowledge of sixteenth-century English culture. 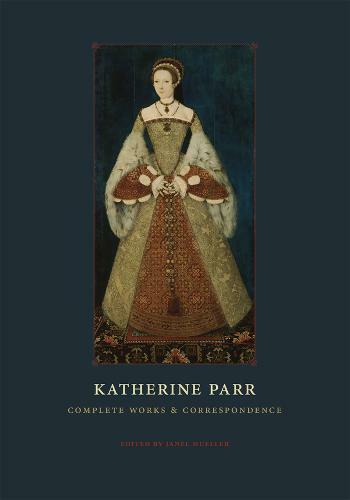 She marshals the impeccable skills of a textual scholar in rendering Parr's sixteenth-century English for modern readers and provides useful background on the circumstances of and references in Parr's letters and compositions.